Dharmendra (born Dharmendra Singh Deol; 8 December 1935) is an Indian film actor, producer and politician. In 1997, he received the Filmfare Lifetime Achievement Award for his contribution to Hindi cinema. His starring roles in action films earned him nicknames such as "Action King" and "He-Man". One of his most notable roles was in Sholay (1975). He has been a member of the 14th Lok Sabha of India, representing Bikaner constituency in Rajasthan from Bharatiya Janata Party (BJP). In 2012, he was honoured India's third highest civilian honour Padma Bhushan by the Government of India. Dharmendra was born Dharmendra Singh Deol in Nasrali, a village in Ludhiana district, Punjab to Kewal Kishan Singh Deol and Satwant Kaur. His ancestral village is Dangon, near Pakhowal, Ludhiana. He spent his early life in the village of Sahnewal and studied at Government Senior Secondary School at Lalton Kalan, Ludhiana, where his father was the village school's headmaster. He did his intermediate from Ramgarhia College, Phagwara in 1952. When Dharmendra saw an advertisement for a movie in the filmfare by Bimal Roy and Guru Dutt, he went to Malerkotla to get his picture taken, by Jaan Mohammed (John & Sons). Ref. (Kapil Sharma show dated 27 July 2014). 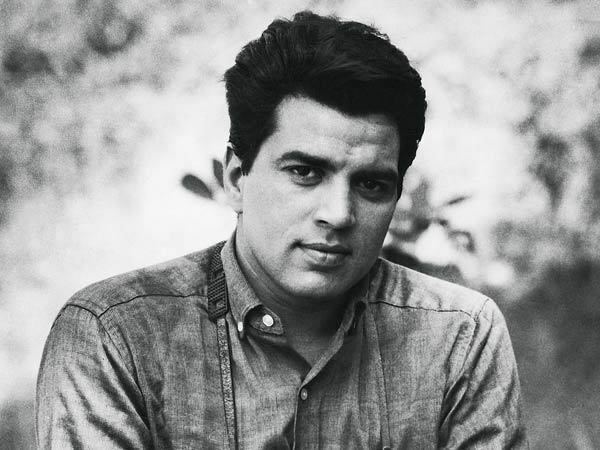 Dharmendra won the Filmfare magazine's new talent award and came to Mumbai from Punjab looking for work. He made his debut with Arjun Hingorani's Dil Bhi Tera Hum Bhi Tere in 1960. He had a supporting role in the film Boy Friend in 1961, and was cast as the romantic interest in several films between 1960-67. He worked with Nutan in Soorat Aur Seerat (1962), Bandini (1963), Dil Ne Phir Yaad Kiya (1966) and Dulhan Ek Raat Ki (1967), and with Mala Sinha in Anpadh (1962), Pooja Ke Phool (1964) and Baharen Phir Bhi Aayengi, with Nanda in Akashdeep, with Saira Banu in Shaadi and Ayee Milan Ki Bela (1964) and with Meena Kumari in Main Bhi Ladki Hoon (1964), Kaajal (1965), Purnima (1965) and Phool Aur Paththar (1966). He had a solo hero role in Phool Aur Patthar (1966), which was his first action film. It has been speculated for a long time that Meena Kumari and Dharmendra had an intimate relationship in the 1960s, She helped help him to establish himself among the A-listers of that time. 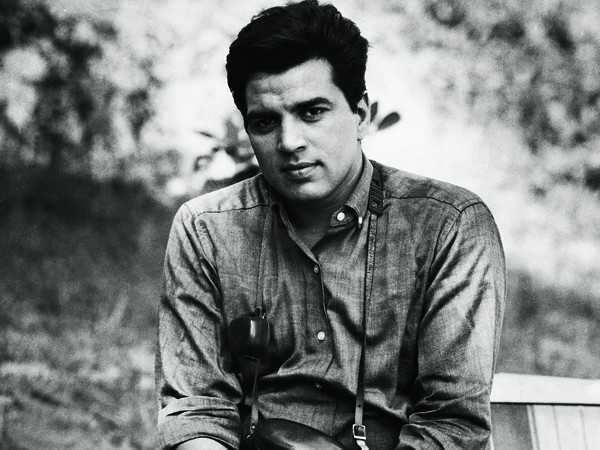 Phool Aur Paththar became the highest-grossing film of 1966 and Dharmendra received his first Filmfare nomination for Best Actor. His performance in Anupama was critically acclaimed. He received a filmfare best actor nomination for an action hero role in the 1971 hit film Mera Gaon Mera Desh Having played romantic as well as action hero parts, he began to be called a versatile actor by 1975. His comic timing in comedy films like Tum Haseen Main Jawan, Do Chor, Chupke Chupke, Dillagi and Naukar Biwi Ka was appreciated. His most successful pairing was with Hema Malini, who went on to become his wife. The couple played together in many films including Raja Jani, Seeta Aur Geeta, Sharafat, Naya Zamana, Patthar Aur Payal, Tum Haseen Main Jawaan, Jugnu, Dost, Charas, Maa, Chacha Bhatija, Azaad, and Sholay. His most notable acting performances include Satyakam with Hrishikesh Mukherjee, and Sholay, which is listed by Indiatimes as one of the "Top 25 must see Bollywood films of all time". In 2005, the judges of the 50th annual Filmfare Awards awarded Sholay the special distinction of Filmfare Best Film of 50 Years. 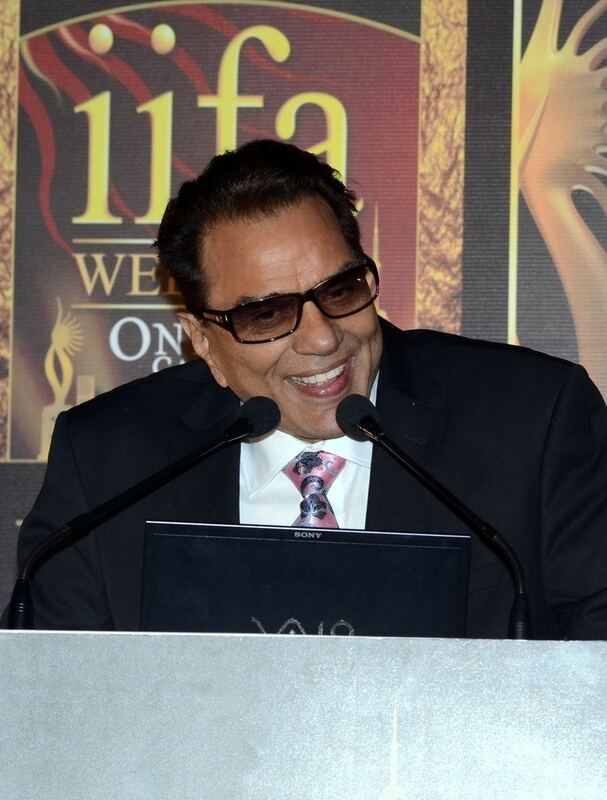 Dharmendra went on to star in a number of action films between 1976–84, including Dharam Veer, Charas, Azaad, Katilon Ke Kaatil, Ghazab, Rajput, Bhagawat, Jaani Dost, Dharm Aur Qanoon, Main Intequam Loonga, Jeene Nahi Doonga, Hukumat, and Raaj Tilak. Along with Rajesh Khanna he made a cameo appearance in the 1986 B film Mohabbat Ki Kasam. He has worked with various directors, each with a different style of filmmaking. His longest collaboration was with director Arjun Hingorani from 1960-91. Dil Bhi Tera Hum Bhi Tere was the debut film of Dharmendra as an actor and Arjun's first directorial venture with Dharmendra as the lead hero. They worked together in Kab? Kyoon? Aur Kahan?, Kahani Kismat Ki, Khel Khilari Ka, Katilon Ke Kaatil and Kaun Kare Kurbanie where Arjun Hingorani was the producer and the director, and Sultanat and Karishma Kudrat Kaa, produced by Arjun Hingorani. He worked with director Pramod Chakravorty in Naya Zamana, Dream Girl, Azaad and Jugnu. 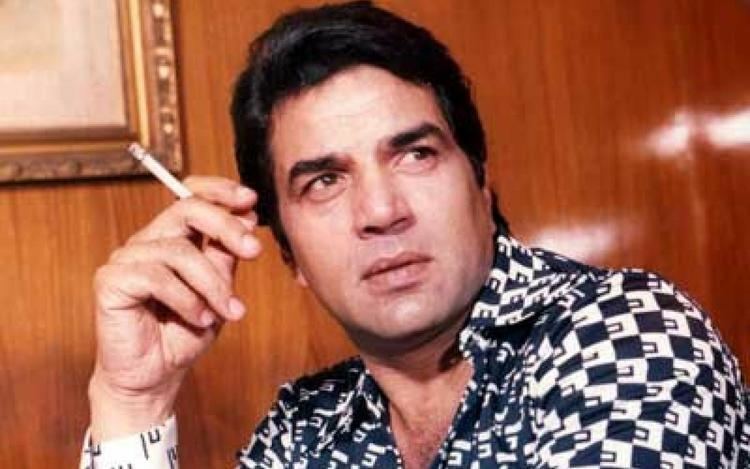 Dharmendra has played dual roles in many films such as Yakeen (1969) as both the hero and the villain, Samadhi (1972) as father and son, Ghazab (1982) as twin brothers and Jeeo Shaan Se (1997) in triple roles. Dharmendra has worked with all members of the Kapoor family except for Prithviraj and Kareena Kapoor. He periodically made films in his native tongue of Punjabi, starring in Kankan De Ole (Special Appearance) (1970), Do Sher (1974), Dukh Bhanjan Tera Naam (1974), Teri Meri Ik Jindri (1975), Putt Jattan De (1982) and Qurbani Jatt Di (1990). Throughout the 1980s and 1990s, he continued to appear in many other films in both leading and supporting roles. In 1997, he received the Filmfare Lifetime Achievement Award. 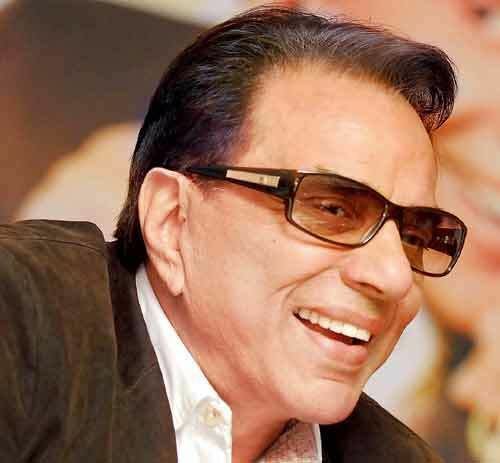 While accepting the award from Dilip Kumar and his wife Saira Banu, Dharmendra became emotional and remarked that he had never won any Filmfare award in the Best Actor category despite having worked in so many successful films and nearly a hundred popular movies. Speaking on this occasion Dilip Kumar commented, "Whenever I get to meet with God Almighty I will set before Him my only complaint - why did You not make me as handsome as Dharmendra?". He experimented with film production; he launched both of his sons in films: Sunny Deol in Betaab (1983) and Bobby Deol in Barsaat (1995) as well as his nephew Abhay Deol in Socha Na Tha (2005). He was the presenter for his films like Satyakam (1969) and Kab Kyun Aur Kahan (1970). In one of her interviews, actress Preity Zinta has been quoted as saying that Dharmendra is her favourite actor. She recommended him to play her father's role in Har Pal (2008). After a four-year hiatus from acting since 2003, he reappeared in films as a character actor in 2007 in Life in a... Metro and Apne; both films were both critically and commercially successful. In the latter, he appears with both his sons, Sunny and Bobby for the first time. His other release was Johnny Gaddaar, in which he played a villain. In 2011, he starred alongside his sons again in Yamla Pagla Deewana which was released on 14 January 2011. A sequel, Yamla Pagla Deewana 2, was released in 2013. He appeared with his daughter Esha in his wife (Hema Malini)'s directorial venture, Tell Me O Khuda in 2011. In 2014, he played a double role in the Punjabi film, Double Di Trouble. In 2011, Dharmendra replaced Sajid Khan as the male judge of the third series of popular reality show India's Got Talent. On 29 July 2011, India's Got Talent aired on Colors with Dharmendra as the new judge and surpassed the opening ratings of the previous two seasons. Dharmendra was active in politics. He was elected as a Member of the Parliament in the 2004 general elections, from Bikaner in Rajasthan, on a Bharatiya Janata Party ticket. During his election campaign, he made an ironic remark that he should be elected Dictator perpetuo to teach "basic etiquette that democracy requires" for which he was severely criticized. He rarely attended Parliament when the house was in session, preferring to spend the time shooting for movies or doing farm-work at his farm house. In 1983 Deol set up a production company known as Vijayta Films. Its first film was Betaab, released in 1983, starring his son Sunny Deol as the lead actor in his debut movie. The film was a blockbuster. In 1990 he produced the action flick Ghayal, also starring Sunny. The film won seven Filmfare Awards, including the Best Movie Award. It won the National Film Award for Best Popular Film Providing Wholesome Entertainment. Dharmendra launched the career of his younger son, Bobby, in 1995 in Barsaat. Dharmendra's first marriage was to Parkash Kaur at the age of 19 in 1954. From his first marriage, he has two sons, Sunny and Bobby, successful actors, and two daughters, Vijeeta and Ajeeta. He has four grandsons. 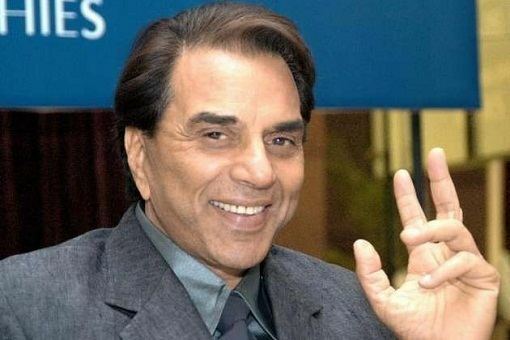 After moving to Mumbai and getting into the film business, Dharmendra wed Hema Malini after converting to Islam to stay married to his previous wife without having to get a divorce, although he later denied any conversion to Islam. He and Malini starred together in a number of movies in the early 1970s including the superhit film, Sholay. The couple has two daughters, Esha and Ahana Deol. Dharmendra was a great fan of the famous singer actress Suraiya. He is said to have watched her film 'Dillagi' (1949) 40 times, after having to walk several miles on foot in his hometown Sahnewal to go to the nearest cinema hall. He also attended her funeral, when she died in 2004, when most actors gave the occasion a miss. 1997 – Filmfare Lifetime Achievement Award for his contribution to Indian Cinema. 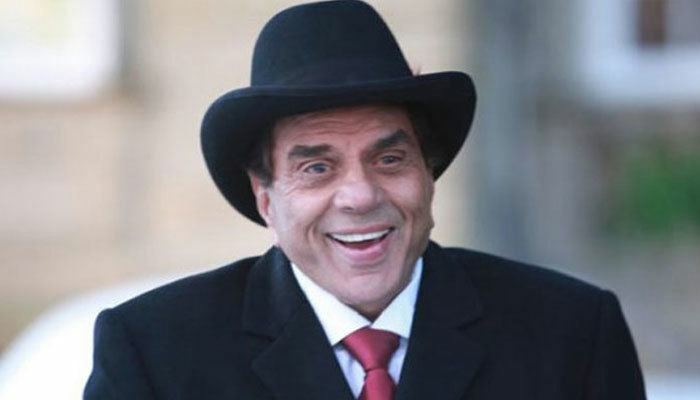 In the mid-seventies, Dharmendra was voted one of the most handsome men in the world, a feat only repeated by Salman Khan (from Bollywood) in 2004. He has received the World Iron Man award. He received a Special Award for his "contribution in Indian Cinema" at the Kalakar Awards. He is a recipient of the prestigious "Living Legend Award" by the Federation of Indian Chamber of Commerce and Industry (FICCI) in recognition of his outstanding contribution to the Indian entertainment industry. In 2003 he received a Lifetime Achievement Award at the Sansui Viewers' Choice Movie Awards. In 2004, he was honoured for Best Contribution to Indian Cinema. In 2007, he received an IIFA Lifetime Achievement Award. In 2007, he received an award for Humanitarian Services to the Indian Nation. In 2007, he was awarded a Lifetime Achievement award by DBR Entertainment. In 2007, the Punjabi newspaper Quami Ekta honoured him for his contributions to the Indian cinema. In 2008, he was named "Actor Par Excellence" at the Max Stardust Awards. In 2008, he received a Lifetime Achievement Award at the 10th Mumbai Academy of the Moving Image (MAMI) International Film Festival. In 2009, he received a Lifetime Achievement Award at the Nashik International Film Festival (NIFF). In 2010, he was honoured as the Big Star Entertainer for his half-century of excellence at the BIG Star Entertainment Awards. In 2011, he received a Lifetime Achievement Award at the Apsara Film & Television Producers Guild Award. In 2011, he received a "Salaam Maharashtra Award" for completing 50 years in the film industry. In 2011, he was honoured with the Dadasaheb Phalke Ratna Award at the Dada Saheb Phalke Academy Awards. In 2011, he was honoured with "The ITA Scroll Of Honour" at the Indian Television Academy Awards. In 2012, he was honoured with the "Icon of Punjab Award" at the PTC Punjabi Film Awards.